Jackson bed and breakfast travel guide for romantic, historic and adventure b&b's. 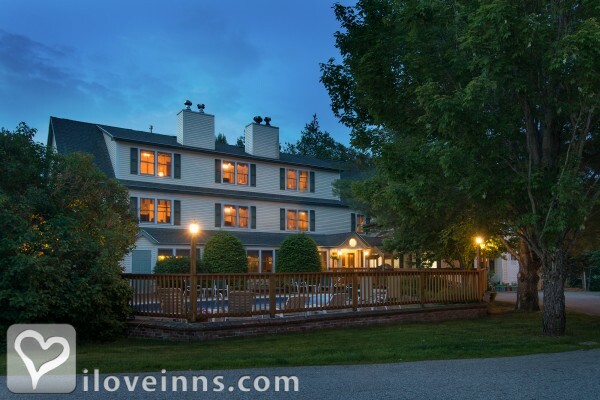 Browse through the iLoveInns.com database of Jackson, New Hampshire bed and breakfasts and country inns to find detailed listings that include room rates, special deals and area activities. You can click on the 'check rates and availability' button to contact the innkeeper. Jackson, New Hampshire, among the Ten Top Romantic Ski Towns according to Ski America authors. The magic of Jackson attracts international visitors year round with its abundance of traditional North American architecture, and plentiful warm hospitality. The village of Jackson has managed to preserve its legacy and scenic beauty while at the same time adding all the latest amenities that vacationers look for today. Whether you are visiting with a family, traveling with your pet, looking for indulgence or simply a romantic getaway, there's something in Jackson for everyone and Jackson bed and breakfast innkeepers are eager to make your stay truly memorable. The village is most famous for its covered bridge and Jackson Falls, hiking trails, cross country ski trails, mountains for downhill skiing, rivers for fishing, golf courses, wildlife, sleigh rides and skating, gift shops, restaurants, pubs and a deli. By Village House. Welcome to the classic White Mountain Village of Jackson, New Hampshire. For nearly 200 years the Jackson area has held a special attraction for visitors from around the globe with its landscape, complete with covered bridges, white steepled churches, high mountains and rolling farmland. By Eagle Mountain House & Golf Club.